From Akitu to Sham el-Nessim and from May Day to Easter, entire world celebrates spring. Scientifically, this season is one of the most important seasons because the axis of Earth is increased relative to Sun, which causes the length of daylight to increase and the days become warmer. The snow begins to melt and water streams start flowing throughout the lands. The light warmth provides perfect weather for plants to nourish and this period gains its own agricultural importance. With this, primarily agricultural countries mark this season’s beginning as the most important event of their calendar. Most cultures celebrate it as their New Year and with time, many folklores, legends and mythical stories got associated with it. People living in Indian Subcontinent have their own versions of Spring Festival. Some call it Phagwah, some say Dolajatra, some Basantotsav, some Shigmo, and majority of population celebrate it as “Holi”. For the followers of Hindu religion, the auspicious festival of Holi is celebrated on the day, when “Holika”, sister of “Hiranyakashyap” died. According to Hindu mythology, king Hiranyakashyap was Lord Vishnu’s gatekeeper but due to a curse, he was reborn as an Asura (demon) in Moolsthan (present day Multan). He declared himself as god and ordered his subjects to worship only him. However, his own son “Prahlad” becomes devoted to Lord Vishnu and disobeys his father’s commandments. Angry from this act, Hiranyakashyap orders his sister “Holika” to take Prahlad in her lap and sit on a bonfire. Holika had a cloak, which would prevent her from fire. However, as the bonfire started, the air blew off the cloak and covered Prahlad. As a result, Holika was burnt alive and Prahlad was saved. Since then, the night when Holika died is celebrated as Holika Dehan (Burning of Holika) and the next day is celebrated as “Holi”, the festival of colours. Another symbolic myth connects this festival with the death of demon Pootna, who came to poison infant Lord Krishna. But in Barsana (near Mathura), the tales goes like this: Lord Krishna visited his beloved Radha’s village and playfully teased her friends. At this, the women of Barsana chased him away with sticks. Since then, groups from Krishna’s village (Nandgaon) visit Barsana during Holi and get chased away, and sometimes beaten with sticks by the people of Barsana. It is popular by name“Lath-Maar Holi” (Literally: Stick hitting holi). Another interesting form of Holi is celebrated in hill areas of Kumaun in India. Here, instead of colours and water, people sit across and sing the songs of Holi. It therefore got its name “Baithaki Holi” (Sitting Holi). Soon, another form of Kumaoni Holi was developed, called “Khadhi Holi” (Standing Holi), where these songs were sung standing. Some parts also celebrate “Mahila Holi” (Women’s Holi), where only ladies participate and sing songs. Even Goan version called “Shigmo” concentrates more on Singing and Dancing. In Punjab, a totally different form of celebrating Holi is observed. 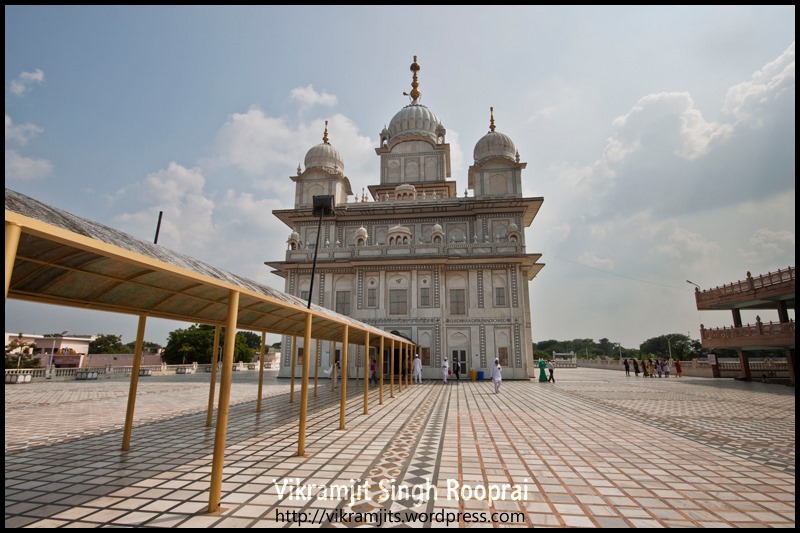 During the times of Guru Gobind Singh, the tenth spiritual master of Sikhs, the people of Punjab was struggling with the Mughal Armies for their survival. While they were celebrating all festivals, the important festival, which also marks the New Year was to be given some special importance. Hence, the war cry (Halla) gave the name ‘Holla Mohalla’, where mohalla means ‘to gather/assemble’. Guru Gobind Singh jee used this occasion of Holi to do mock war drills at the fort of Holgarh. This became a gazetted festival during the British Raj and is celebrated till date at the city of Anandpur, where Sikhs, who practice the Sikh form of Martial Arts, called ‘Gatka’ gather every year and exhibit their talent and skills with weapons and horses.